Why use still images in a film? There’s lots of potential for using still images in a film or video. It doesn’t just have to look like a slideshow: you can zoom them, pan them, group them, and even make them look three-dimensional. Most editing programs will let you use just part of a still image. The picture size needs to be bigger than the video resolution to avoid ugly ‘jaggies’ when it’s cropped and blown up. Most JPEGs from good modern cameras should be big enough; images you have taken from the Web probably won’t be. Plenty of examples of the effect in this film by Ken Burns himself. Lots of editing programs will let you zoom and pan your still images. As with cropping, you need to make sure that the pictures are big enough. This technique is usually called the Ken Burns effect, after the American filmmaker who used it to give life and movement to old photos in TV documentaries like The Civil War. If your editing program let you see ‘audio waveforms’, or better still add ‘beat markers’, you can easily edit your images to a soundtrack. Some programs let you add beat markers from the keyboard, so you can do it ‘on the fly’ by tapping a key in time to the music. 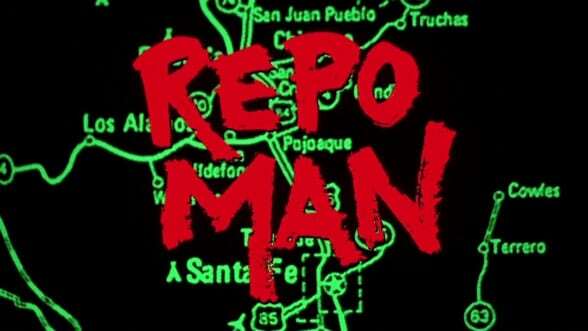 The title sequence of cult sci-fi film Repo Man uses sections from a map edited exactly to the beat of music. And Chris Marker’s 1960s’ film La Jetée is entirely made up of still images. Shoot your actors or presenters against a green or blue background, then use chromakey to replace the background with your still images in your editing or effects program. If your editing program lets you use several video tracks, you can put each picture on a separate video track and resize it, so that when you view the film the images appear in a grid. You can replace the images at different times and, with some programs, you can move them around the screen. The title sequence of cult sci-fi film Soylent Green uses archive images and music to tell a century’s worth of ‘backstory’ in a couple of minutes. You can use a set of stills as a quick way to sum up a story, or to show parts of the story that you don’t have the resources to film. In Tom Tykwer’s film Run Lola Run, still images are used to show things that characters imagine happening. 2.5D demo reel by Adam Eyster. Remarkable 2.5D effects with archive photos by Miklós Falvay . You’ll need good skills with editing/motion graphics programs like Photoshop, Motion and After Effects to create effects like these – known as 2.5D or parallax – but they can look stunning. Be very careful about copyright. Pro photographers and big photo libraries can charge a fortune for ‘unauthorised use’. Only use pictures where you have written permission from the copyright holder, you know they are in the public domain, or they have a Creative Commons licence that allows you to use them. The technical term for a montage of still images edited to music is kinestasis.